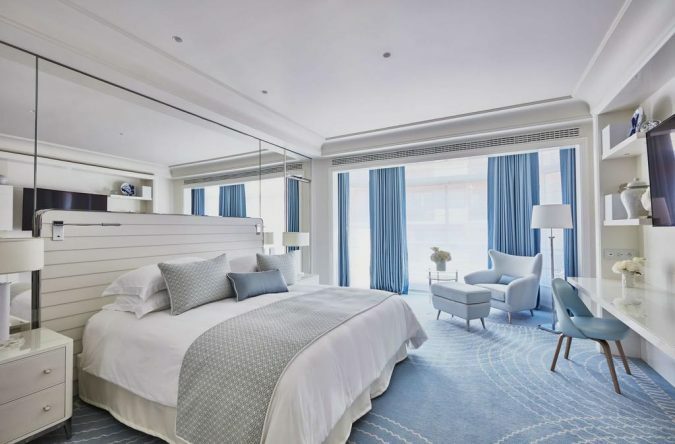 If you are one of those interested in traveling and fond of exploring different countries across the world, if you are searching for luxury in your trip, then you have to concentrate on the hotel choice. The hotel is not just a place to stay but the most important aspect of your vacation or business trip. 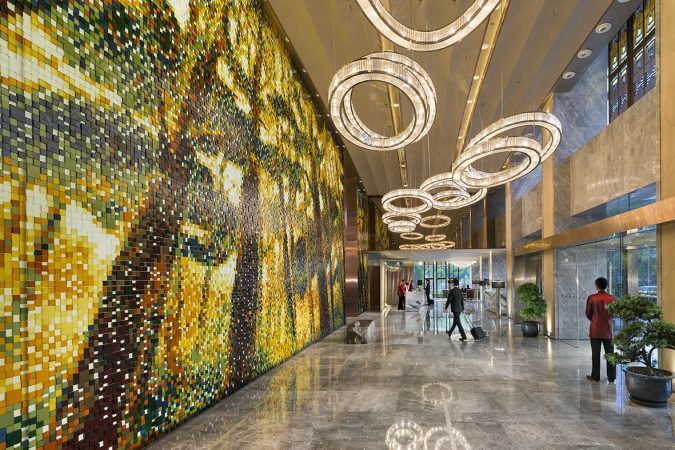 Many hotels offer an excellent service and comfortable stay for their customers, but some have turned more popular for being exceptional and innovative. Some hotels are located in the most beautiful places. In this article, we are presenting you the ten most luxurious hotels in the world, and introduce the reasons behind their high cost. These hotels have certain qualities that have made them more attractive and preferred by the tourists regardless of their expensiveness. 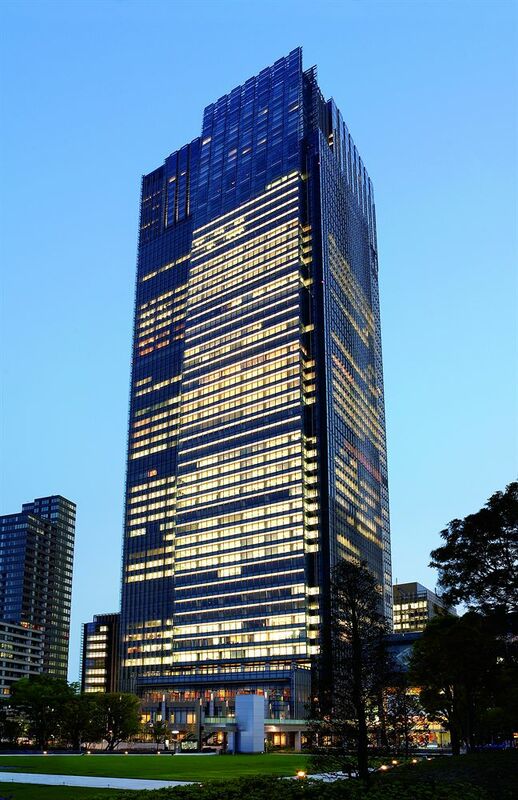 The hotel is located in the center of Tokyo, just minutes from Tokyo Midtown. The 5-star accommodation is a perfect place to stay in when having a wonderful vacation or business trip. 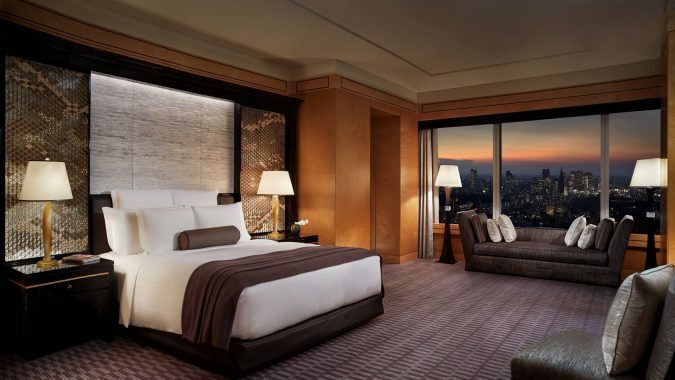 You will enjoy outstanding views and excellent service; Ritz Carlton Tokyo overlooks great views of Shinjuku. 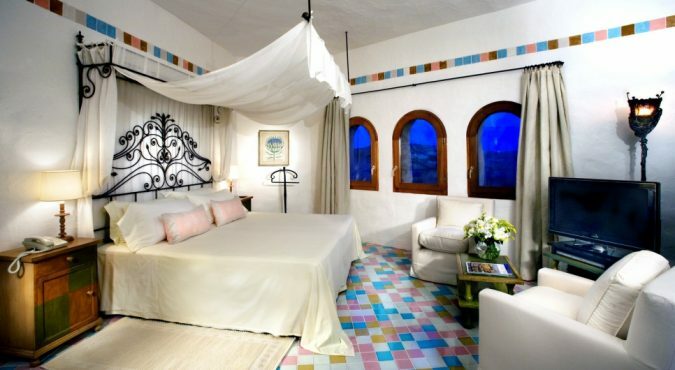 The hotel attracts the honeymoon couples with its marble bedrooms and soft sheets. Also, you can watch movies on wide and large size TVs and have access to the free wireless internet. The hotel room service is around the clock. It also has a fitness center with a swimming pool. The price for accommodation per night is $474. Ritz Carlton Tokyo is one of the most distinguished hotels the world. Grand Hyatt Cannes Hotel Martinez is on the list of the world’s most expensive hotel rooms.The 5-star hotel is Located on the Elite Croisette. It has a wonderful view overlooking the Mediterranean Sea, specifically the Bay of Cannes. 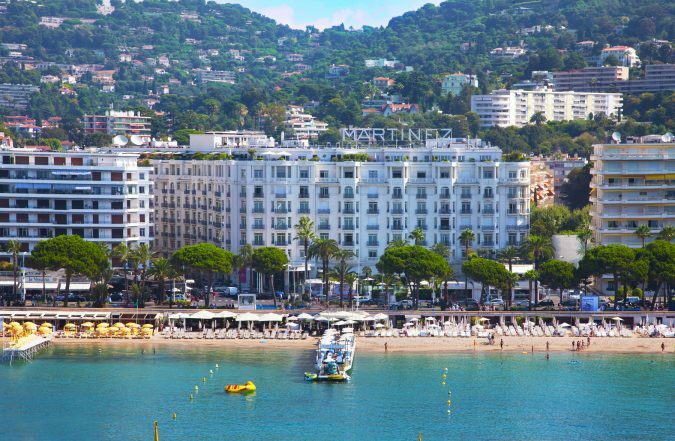 It is a place where you will love your stay on and enjoy the French Riviera. The hotel includes 409 wonderful rooms and 27 amazing suites. There is also a meeting place around 2500 square meters for almost all your events including conferences, weddings, cocktail parties and so on. 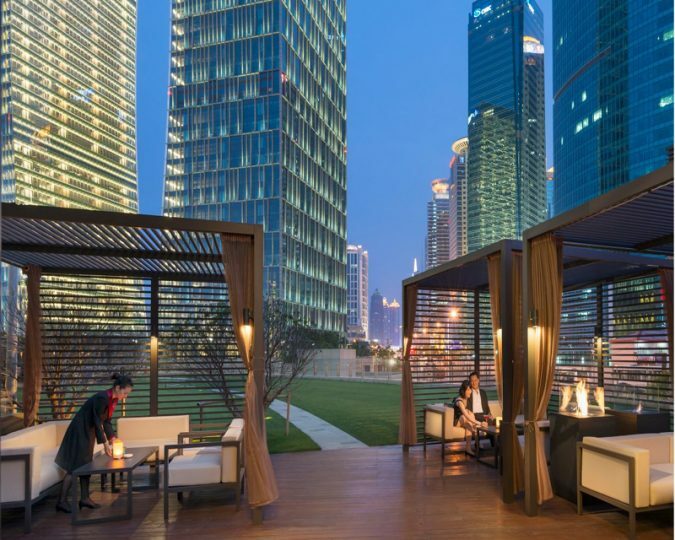 The hotel is Located in a spectacular skyscraper in Pudong in Shanghai. 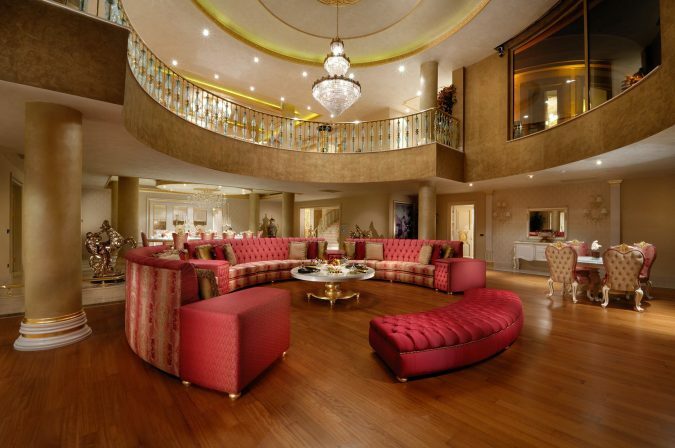 Shanghai hotels have the top luxurious and extravagant suites. 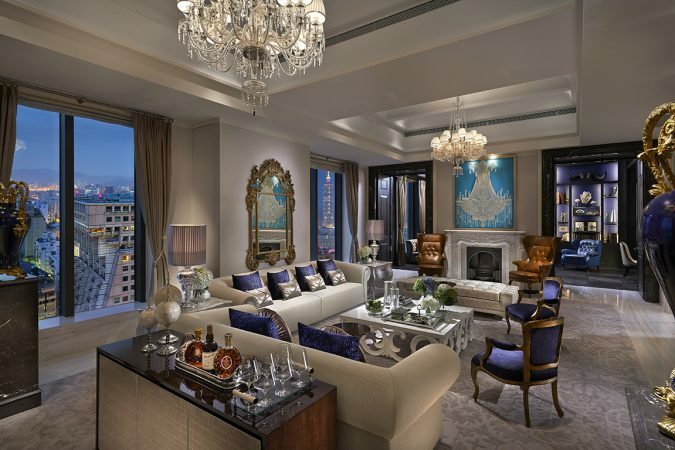 The accommodation in Mandarin Oriental Pudong, Shanghai’s Presidential Suite costs $24,325 per night. 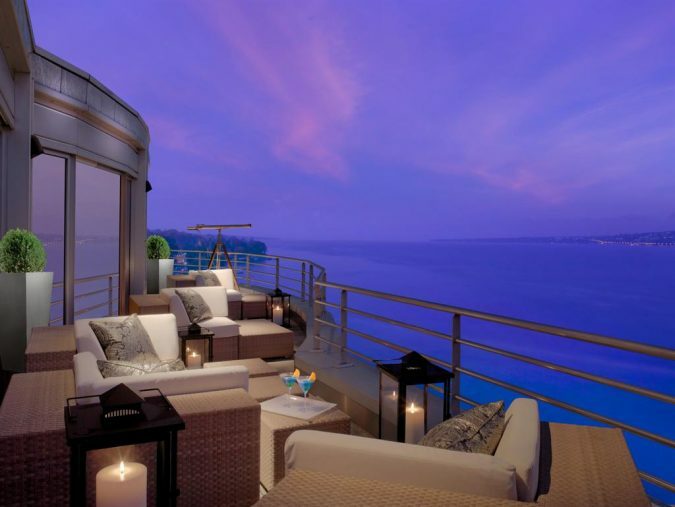 The Guests of the suite have access to two private rooftop gardens, each with views, 25th-floor views, of Shanghai and the Huangpu River. Furthermore, they enjoy a private wine cellar, a marble master bathroom with its steam room and sauna, a butler’s kitchen, and a private gym. 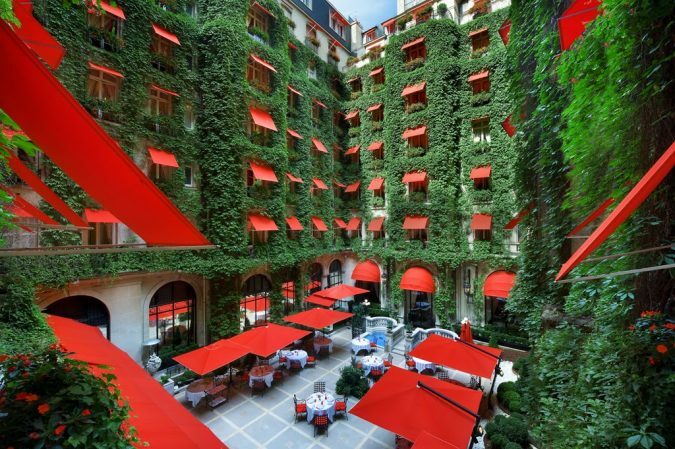 The Hotel Plaza Athenee has one of the largest and most expensive suites in Paris. 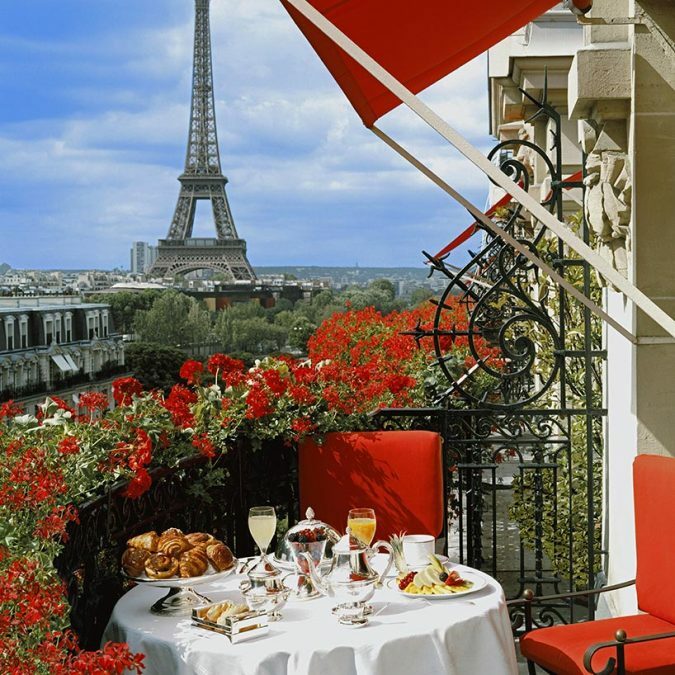 Located on the fifth floor, the Royal Suite overlooks the most romantic city and also has an amazing view of the Eiffel Tower. The hotel rooms include French regency furniture and other unique and outstanding antiques. The accommodation in it costs $30,000 Per Night. You will enjoy a romantic view. Therefore, it is very suitable for rich honeymoon couples. 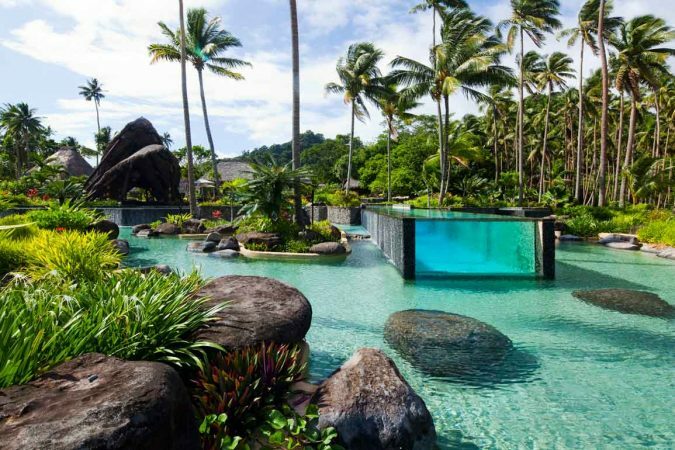 Laucala Island Resort is one of the most luxurious hotels in the United States. 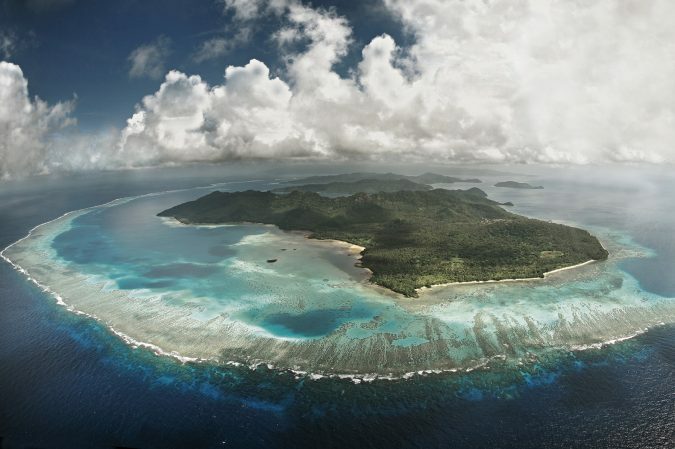 Laucala is a beautiful private island in the South Pacific. It is distinguished by its white sugary beaches, turquoise lagoons, green mountains, and palm trees. The Resort is wonderful, and nature is soul-purifying. 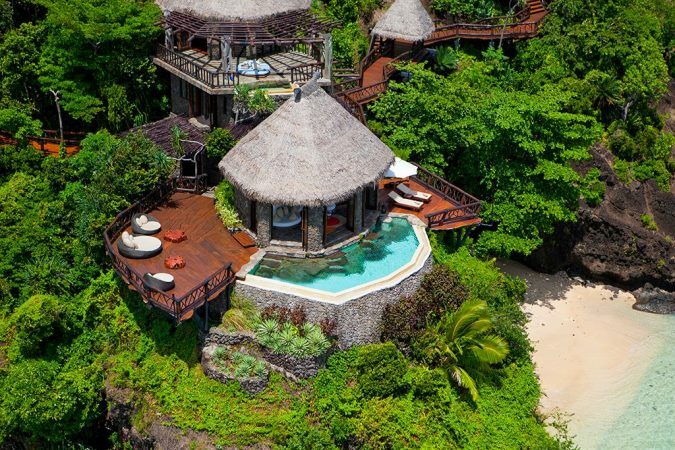 The island consists of 25 unique Fijian Villas; each one overlooks a beach in front. Also, you can enjoy Private pools and outdoor showers which are at every residence. The cost is $40,000 per night. 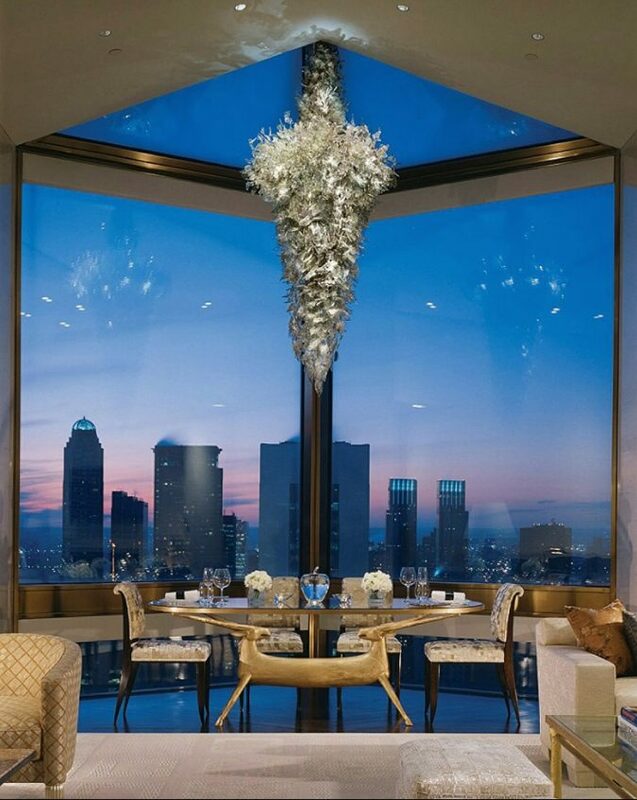 Ty Warner Penthouse, Four Seasons Hotel is one of NYC-World’s most luxurious hotel suites and famous travel places. The hotel is a distinguished and wonderful place. 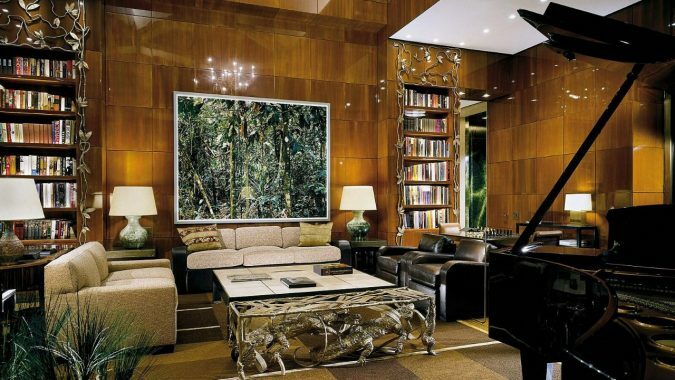 This hotel includes original artworks of international artists. Ty Warner Penthouse expands on 4300 square feet which allows the guests panoramic views from the cantilevered glass balconies. The guests can enjoy multi-services, including a personal therapist and private chauffeur for unrestricted travel. 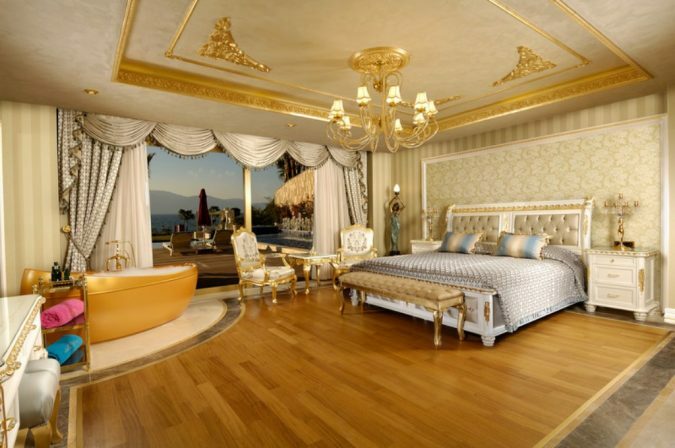 The Royal Penthouse Suite at the 5-star Hotel President Wilson in Geneva is one of the top ten luxurious hotels in the world. 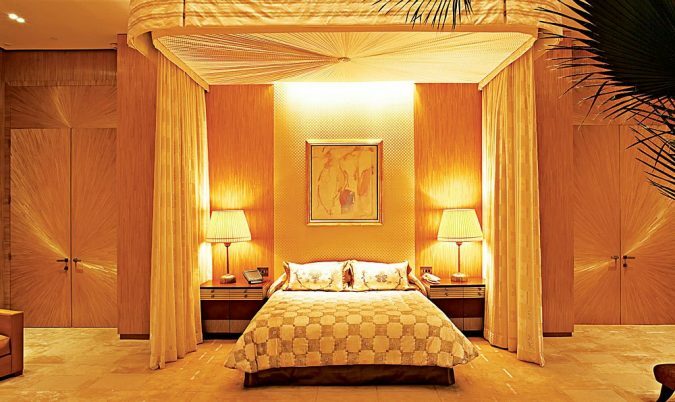 The suite design offers stylishness, serenity, and the comfort. The luxurious suites of the hotel have windows overlooking outstanding views. The hotel includes Wi-Fi, the most luxury baths and bedrooms, and Big Television. The Royal Penthouse Suite is quite expensive, but you will enjoy a wonderful vacation in it. The 12-bedroom suite located on the 8th floor to guarantee an outstanding view. 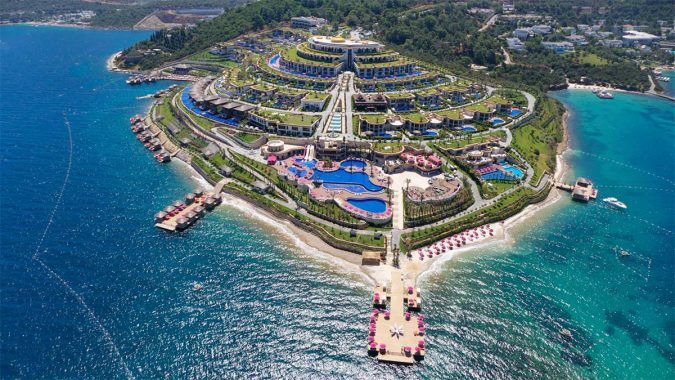 Jumeirah Bodrum Palace is one of the most expensive and outstanding hotels in India. Being close to the Torba beach, you will enjoy a wonderful stay in it. The 5-star hotel consists of 110 guestrooms. The rooms have LED screens, spa centers, and there are indoor and outdoor pools. Another benefit to enjoy is the childcare and babysitting center; there are WiFi internet, newsstands, and gift shops. The hotel includes 120-square-feet meeting and conference room, plus services such as express check-in, currency exchange, and business center. 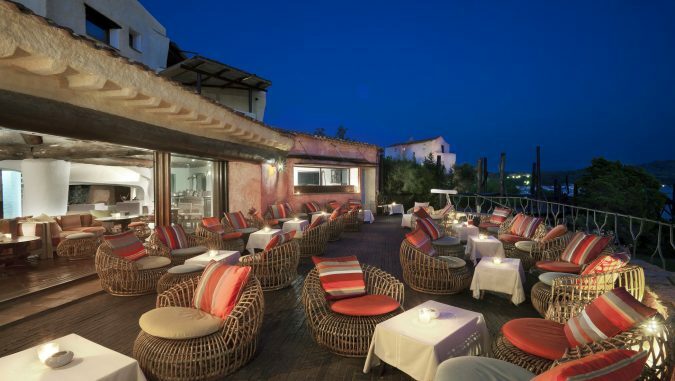 The hotel has the most beautiful Overlooking view; Hotel Cala di Volpe overlooks a Mediterranean outstanding landscape. It was built to look like an ancient village. There, you will enjoy sports, spas, and private pools. 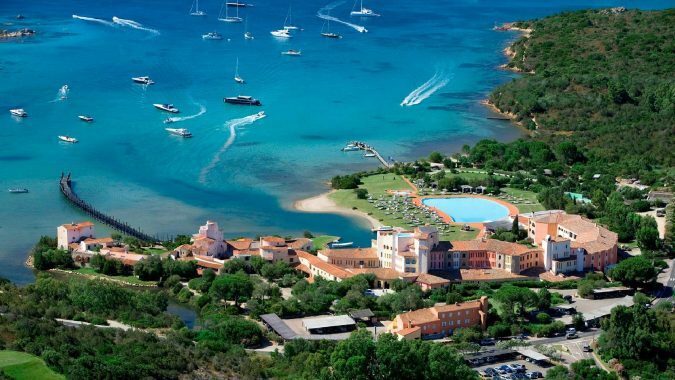 The accommodation in it costs around $26,000 per night; the Presidential Suite at the Hotel Cala di Volpe in Sardinia offers bedrooms with a solarium system and a private pool; also there is a fitness area. Burj Al- Arab is one of the most famous landmarks in the United Arab Emirates. The hotel, located on the Industrial Island, is designed in the shape of a raised sail with the height of 321 meters above sea level. 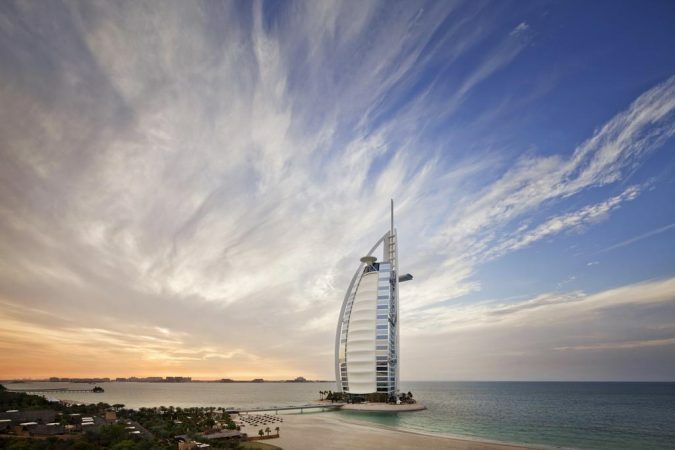 Burj Al Arab is one of the most expensive hotels in Dubai, and it is part of The Jumeirah Beach Resort. It takes half an hour drive from Dubai International Airport to reach the hotel. 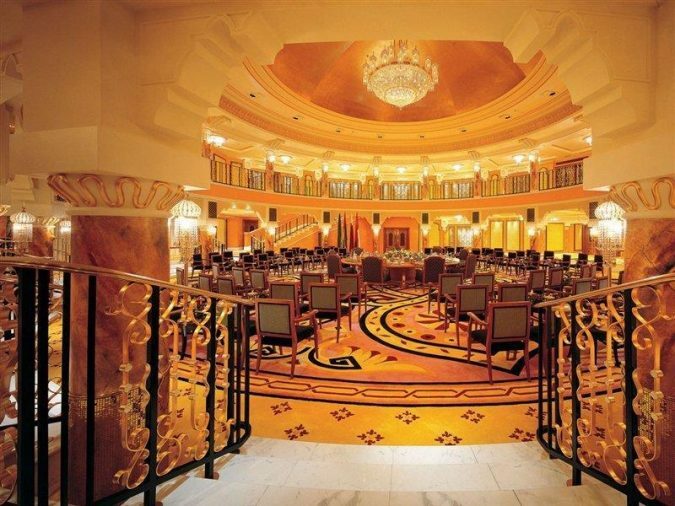 Burj Al Arab Jumeirah accommodates a private reception on each floor and provides a personal host. The hotel residents enjoy an outstanding service and wonderful views. Burj Al Arab Hotel is setting a new standard in the hospitality industry which has made it unique. With the highest of all, the underwater restaurant; it is accessible by a small submarine. 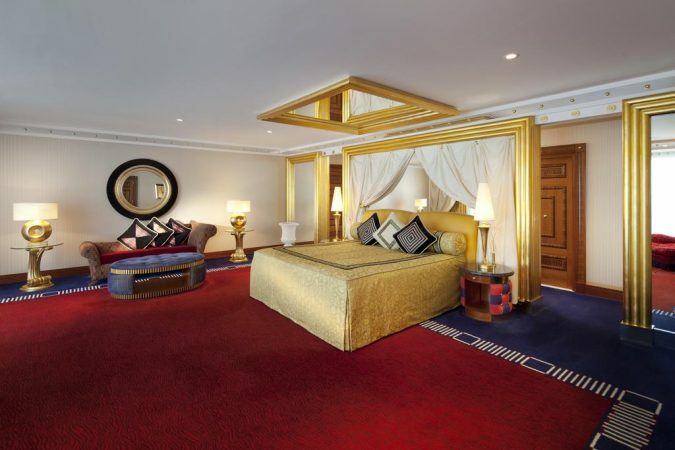 For all this and more, Burj Al Arab is categorized as a seven-star hotel, and the accommodation per night is $28,000. 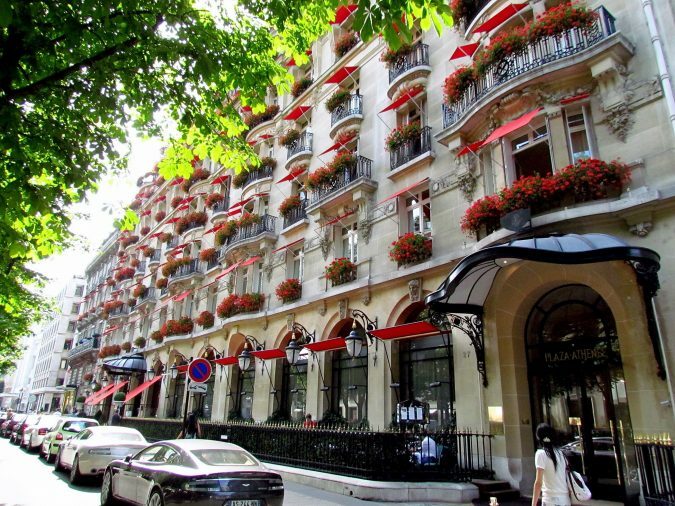 These were the most expensive hotels in the world. To enjoy a good time in a luxury place you need forget about money and concentrate on the quality of the place and service. Of course, the hotels are expensive, but the experience is worth the money you will spend. Also, when searching for a hotel, don’t forget that it’s not all about the price and service; check the views the hotel overlooks. And make sure the place is suitable for your purpose; that it has a conference or business meeting room, in case you are on a business trip.